I am a fan of Ikea's Swedish meatballs that are served in the cafe. I am not a fan of making gravy. It all stems back to an incident that happened just after I got married. I was a young newlywed eager to cook for my hubby. I decide to make biscuits and gravy for breakfast and tried to make it having my mom guide me through the steps over the phone. After I had added some milk and was stirring and stirring and stirring, it didn't seem like it was thickening up much. However, my mom instructed me to add another cup of milk. At that point it was more like soup than gravy. So, I told mom I'd add more milk, then hung up the phone sure that she had no clue what she was saying (despite the fact that she'd been cooking for a family for close to four decades.) I didn't listen. I added no more milk. Then suddenly it started to thicken and I thought I'd be eating a perfect plate of gravy. I turned off the heat. It got thicker and thicker. By the time my husband picked up to plate, the gravy was literally like a pancake. You couldn't spoon it. You had to cut it with a knife. My poor hubby didn't bat an eye. He was a trooper and sat down and ate it. All of it. Like it was a pancake. No complaints. But I never ever tried to make gravy again. I was terrified of it. So, it's 25 years later. 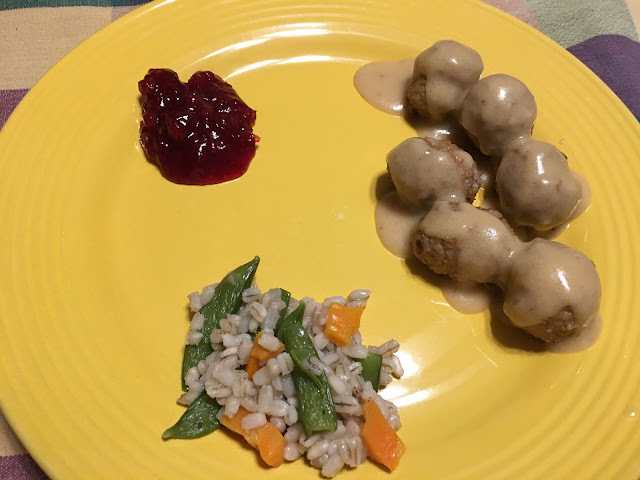 I bought frozen meatballs at IKEA. But what are Swedish meatballs without the gravy? So, I looked around the internet for some recipes and gave it a try. And hey...I actually made gravy. And it was good! Melt the butter in pan and gradually whisk in four to make a roux. Slowly add broth and cook over low heat. Add milk. Continue cooking until it thickens. Add heated meatballs to pan or spoon over heated meatballs. 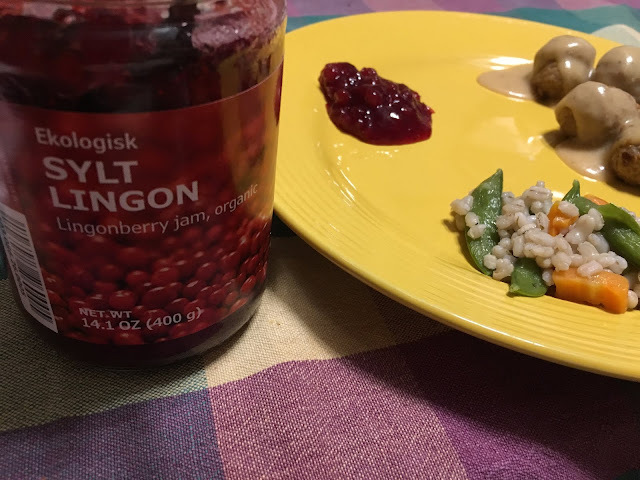 Oh, and grab a jar of lingonberry jam to go along with it!